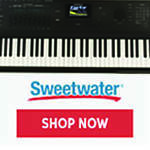 Register Log In Piano World Home Page Forums Digital Pianos - Electronic Pianos - Synths & Keyboards I might have a good deal on a Roland HP136.. but what is it? 115 registered members (1725237, AaronSF, AnnInMiami, Animisha, agraffe, akc42, AssociateX, brendon, ando, 23 invisible), 1,115 guests, and 4 spiders. I told the seller she'd need to bring the price down from her counter-offer of $360. I haven't heard from her for two days now, which is unusual, as all the other emails I've received have been sent daily during the late morning. It appears she's trying to make me bring my price up. I should note that all conversation we have had has been through email so far. I'm not willing to drive 45 minutes through the city in this old rattrap van without knowing I will have a sale, so bartering in person is not an option. I'm not skilled or confident on the spot, though I'm sure of my abilities with talking via correspondence. I can wait the time; finishing my exams will leave me little choice regardless. I'm not worried that they'll find another buyer, given the confidence shown here. There's a chance that they'll just decide not to sell it, or forget or something, but the seller seems like a deliberate person. Enough so to lay my fears to rest. But I still think that the value of the piano isn't fully recognized. And the value the seller's position, as well. Another opportunity like this won't come along for either of us, so I can't expect to do anything but compromise. Anything else is just trusting that I'm the better barterer, which I doubt. I will use the opportunity as I can, but I don't think I'll be able to get it for $100. I'm surprised that people think that an older (even ten years) but more expensive (I estimate ~$1600 from my research) piano is worth so much less than a newer, cheaper piano. It's an electronic instrument, yes, but it's not a computer. Has key action technology improved that much in a decade? That's not rhetorical; I honestly want to know. The key action is most important to me. Aside from that, I do not expect the piano to be broken in any way. From the picture, it seems well taken care of, and I'm confident in my ability to inspect it during the demo. 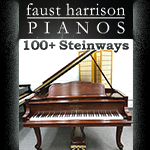 All I want is a silent alternative to my upright; will an older piano truly be so unsuitable? 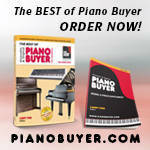 Regardless of this buyer-seller market stuff, is the piano truly that bad? I could get a $99 special at Wal-Mart, and I'm doubting that it would even be comparable to the ten year old Roland. Seems like your set on ignoring the opinions that you asked for. That's fine. But go and play it, examine it, especially the dodgy B key. Also do it only after playing something new and in your price range in a store. Then weigh it up and decide. Has key action technology improved that much in a decade? That's not rhetorical; I honestly want to know. The key action is most important to me. Yes, and the sound even more so. I'd rather buy a new or 1 year old Casio than an 11 year old Roland. But it's your money. Ignorance is bliss, but devil's advocate is the most demanding job there is. I resist to temper the conclusion. An entry level digital piano is a bit out of my price range, which is why I've been interested in buying used. I already have a nice piano; I just want something to practice on that will feel like an acoustic. Everything else is gravy. On the advice recieved here, however, I will go down to the local music store (within walking distance, but only sells Rolands) and just test out the key action on some of the newer ones. That will better allow me to discern the age of the other. I find that internet forums of any topic are apt to estimate buying prices lower than the convention. If it were simply a matter of bargaining (and assuming I was the better tradesman), I would force the price down to $100. But I don`t think it will be sold for that. I`ll go as low as I can. Thank you all so much for your advice, you`ve definitely saved me some money!